We're excited to welcome B.C.E. 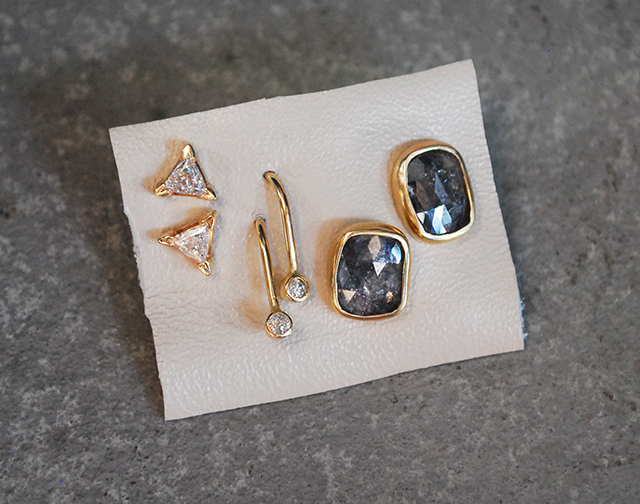 Jewelry to Metier! 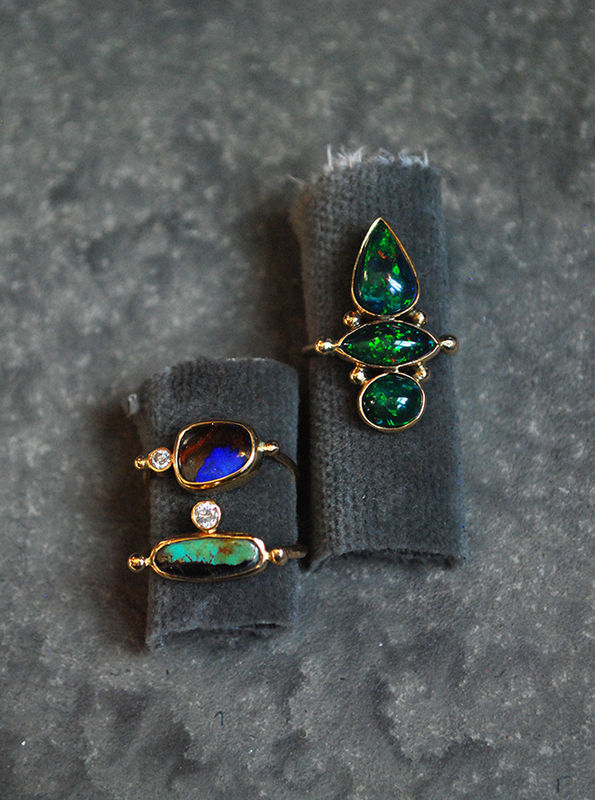 Becca Cass's love for jewelry started when, as a young girl, her grandmother gave her a turquoise ring fabricated by her father. 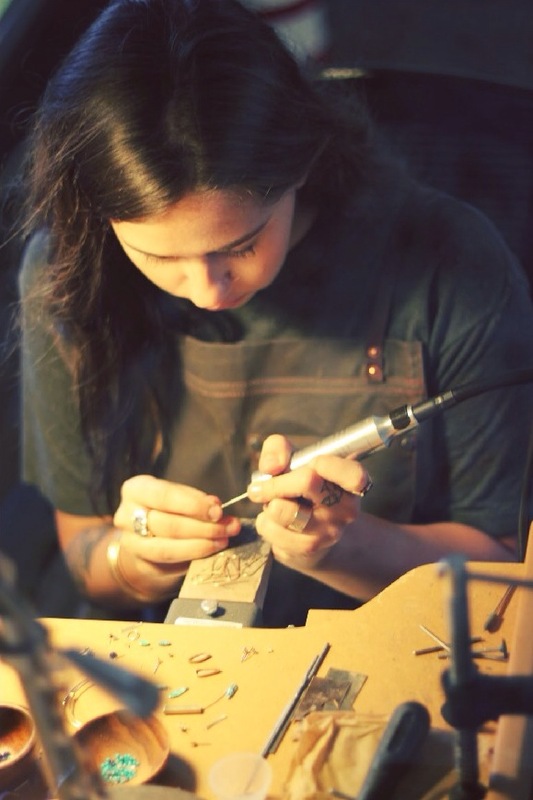 She began making her own jewelry in high school and her passion for jewelry grew after studying art history in college. It continues today, where she draws inspiration from books on ancient civilizations, traveling and frequent museum haunts. The name B.C.E. Jewelry stands for Before Common Era and her craftsmanship strives to celebrate the inherent beauty in the natural stones and simple settings she predominately uses. 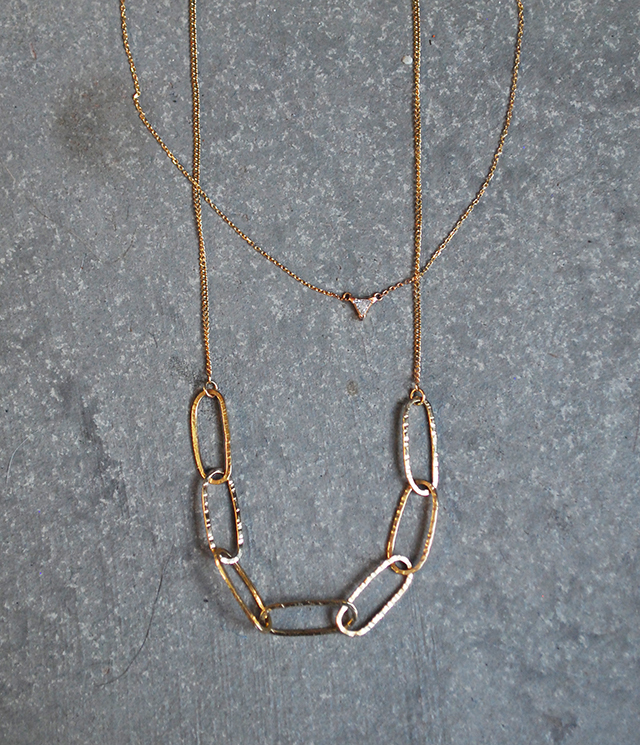 All of her pieces are handmade in her studio in Carmel Valley, California. We have a new group of her collection on our site as well as some in-store exclusives. If you see something you like that's not listed on our site, give us a call 415-590-2998 or email us at info@metiersf.com. 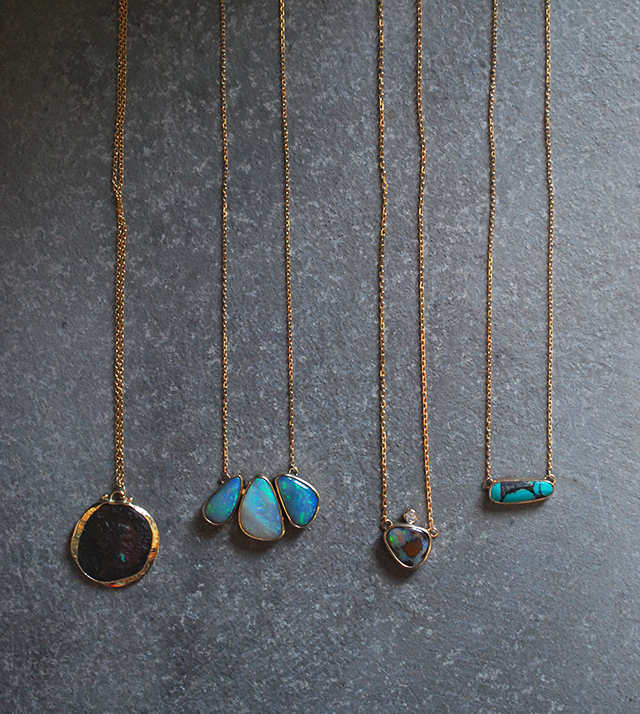 Ancient Coin Necklace set in 14k (in-store), Australian Opal Three Stone Necklace set in 14k (in-store), Boulder Opal and White Diamond Necklace set in 14k, Oval Turquoise Necklace. Becca at work in her studio in Carmel.